Costa Rica is all about rugged terrain, tropical forests, and rushing rivers. 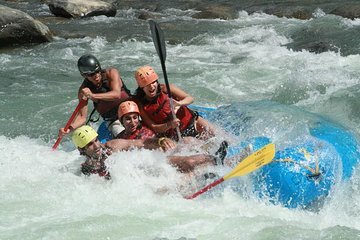 Set off to experience the thrill of paddling down the class II, II, and IV rapids of Savegre River on this full-day, guided white-water rafting adventure with equipment, instructions, transportation, and lunch included. Tackle the waves as you glide along stopping at waterfalls and swimming areas where you’ll see wild animals scurrying along the riverbanks.